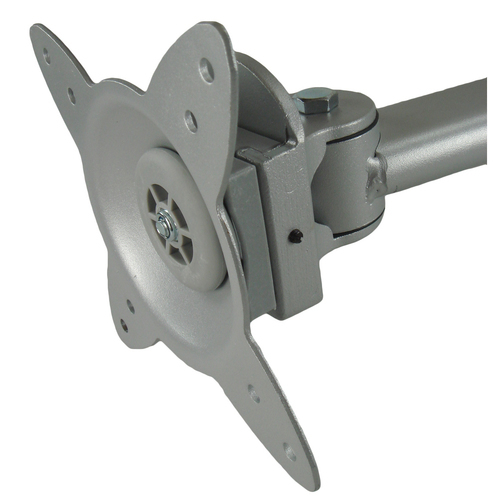 An aluminium, VESA compliant, television wall mount with multiple rotating arms and locking tilt function and fully removable from the wall bracket. Most television come complete with a stand to allow for free standing viewing. 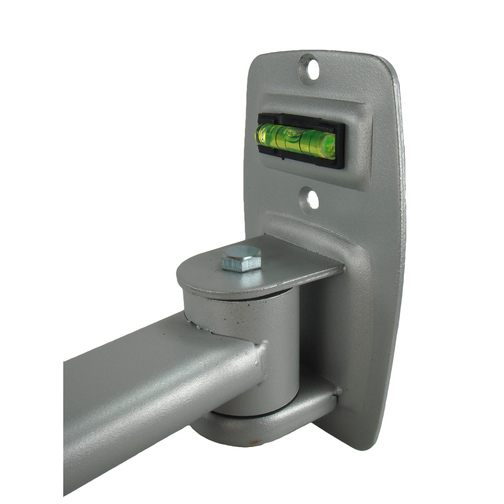 But if you have enough space onboard your boat it may help to install a wall mount. This television wall mount can be fitted to a side board in the cabin and allows you to control the angle and positioning of the screen; it also means that the television is far more secure as it will move with the boat instead of trying to fall off the table when another boat passes by! 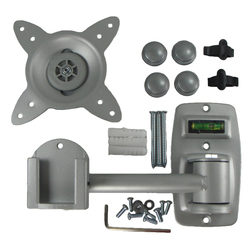 This aluminium television wall mount is suitable for televisions up to roughly 24" (15kg/33lbs). It is VESA compliant and features two 180° rotating joints and a 15° tilting & 180° swivel head to help position the television. 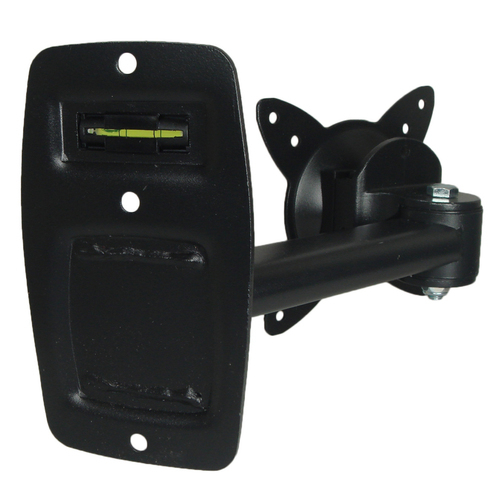 This wall mount also allows you to stow the television away when not in use as the bracket sits flush against the wall. 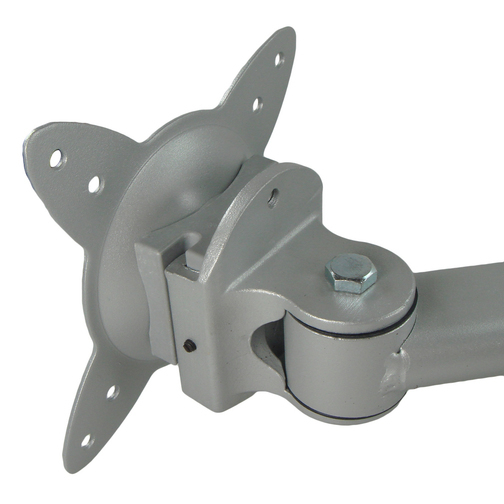 The Removable Bracket Head is designed to slide into the Wall Bracket arm (and can be removed easily at anytime) and features a 15° tilting & 180° swivel head for optimum viewing position. The VESA compliant (VESA is a standard television mounting format) television mount head features 75mm fixing holes and 100mm fixing holes. 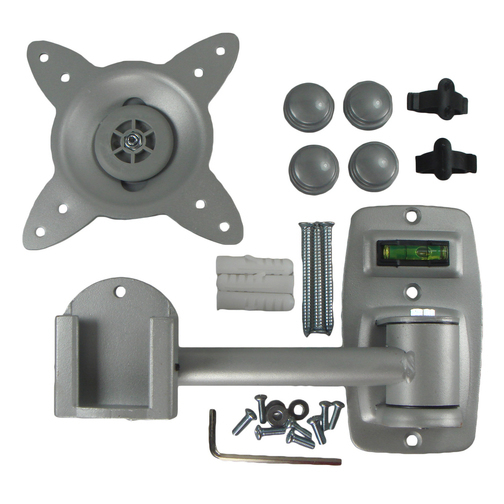 The boat television wall mount comes complete with wall fittings and fixtures to help with the installation.